Kip is the first Community-based meet tracker. Download the app, start scoring, and enjoy watching your gymnast compete. As others enter scores at your meet you'll see them in real-time on your device! Kip is a community-based meet tracking app that uses a real-time connection to instantly update scores during your meet. When a score is entered by another Kip user your screen will update automatically! You are always connected allowing more time to watch your gymnast. 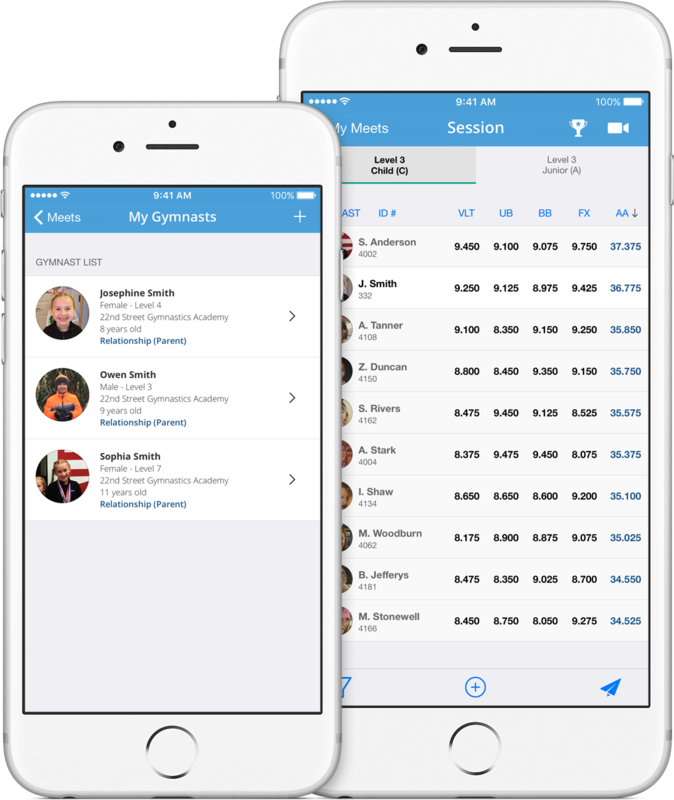 Scores for other gymnasts are managed for you. It's easy to use! Log in, join a meet, and start scoring! A real-time connection keeps your scores up-to-date. View your gymnasts progress with advanced charting. Look back at historical meet data. Record HD video up to 240 FPS and watch videos with advanced playback options. You can even link a video to a score! USAG meets are loaded for you and fully searchable. With a PRO subscription you can back up your awesome videos to the cloud. Free up space and avoid data loss!